Like many screenwriters, Jason Hall started his career as an actor. Buffy the Vampire Slayer and other TV shows kept him busy, but he was eager to move into film roles. When an actor-buddy gave him a movie script and suggested Hall audition for a role, his agents tried, but couldn’t get Hall the audition. The most frustrating part was the script was really bad. “I thought, ‘I can write a screenplay that’s at least as bad as that.’” So he set out to write a screenplay with a lead role perfect for him. He took a Robert McKee story structure class. As an actor, he already understood what makes good dialogue and compelling characters. The thing that was most challenging to him in his early days of writing was character arcs. When he read the book, Inside Story: The Power of the Transformational Arc by Dara Marks, the heavens opened up. Finally, he understood how and why characters arc. It completely changed how Hall approached his characters and his writing in general. Eventually, Hall’s research and hard work paid off. His first script turned out to be pretty good – so good, in fact, it garnered the attention of Oscar-winning director Milos Forman (One Flew Over the Cuckoo’s Nest). But Forman had one request: he wanted another actor to play the lead role, not Hall. When Rounders director John Dahl became interested in his script, he wanted to cast Matt Damon as “Jason,” not Hall. So what did Hall do? “I said Matt Damon to go f*ck himself.” After that, his agents didn’t know what to do with him. He got new ones. When he wrote his next screenplay, again, for himself, his new agents suggested Ashton Kutcher in the lead role. But this time, it seemed Hall was finally catching on to how the Hollywood machine worked: if you want people to throw money at your script, you need a star. Kutcher starred in the 2009 film Spread and it’s been full steam ahead for Hall as a screenwriter, not an actor, ever since. It was Hall’s script for American Sniper that was the game-changer. Clint Eastwood directed, Bradley Cooper starred, and Hall was nominated for an Oscar for Best Adapted Screenplay. Becoming a great writer comes with strong opinions, says Hall, who decided he wanted to direct his next film – he was ready. Based on the book of the same name by David Finkle, Hall’s latest film is Thank You For Your Service, which he wrote and directed. 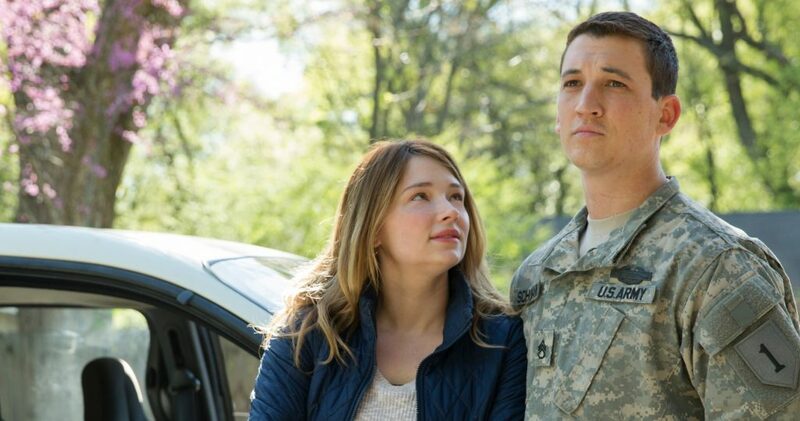 In it, Miles Teller plays Adam, a war vet who just returned from Iraq. Sadly, war has deeply changed Adam in profound ways. He’s dealing with his own psychological hell: nightmares, flashbacks triggered by sound, mood swings, suicidal thoughts. The film takes an excruciatingly close look at the chaos and havoc our soldiers bring home with them in the form of PTSD. It also depicts the failings of the VA. This is a very important film, considering 22 American veterans commit suicide every single day. Though Hall doesn’t see the American war machine changing anytime soon, he is hopeful the film will provoke conversations and inspire people to ask the vets they know and love questions. After one vet and his wife saw the movie, the wife asked her husband if he had any untold stories like the ones in the film. 2 Replies to "How Thank You for Your Service’s Jason Hall Transformed From Actor to A-List Writer"
Love this story. What a great illustration of how your niche can find you in Hollywood. “Inside Story” by Dara Marks should be required reading for anyone struggling with character. My sister (who is also a writer) gave it to me this year for my birthday, and it opened avenues and insights into character I never would have discovered on my own. While it’s not exactly an easy read — I think I spent a good three months on it my first time through — it is well worth it. While it’s definitely a respected and known title among screenwriting books, I’m surprised it’s not more widely referred to by writers. I was happy to see it mentioned here.